This great front country journey provides some much-needed natural escape for citizens of Denver. Just an hour’s drive outside the city, hikers can enjoy a quick and easy (and mostly solitary) trek or a full day in the outdoors. 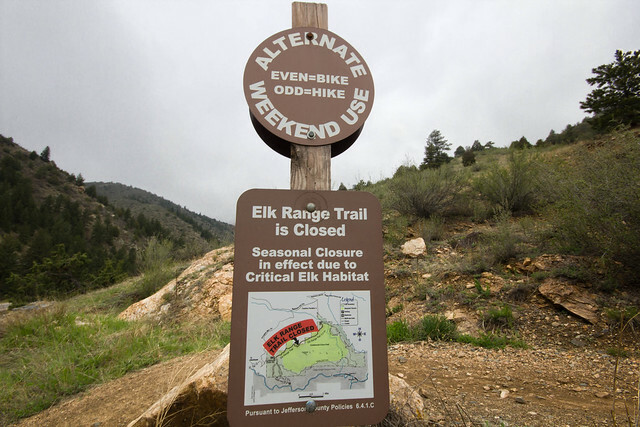 An alternating weekend use prevents unnecessary conflict between hikers and cyclists — if you’re headed here on the weekend and aren’t on a bike, make sure you’re visiting on an odd-day weekend! Often times life in the city can have us dreaming of an escape, or craving solitude. 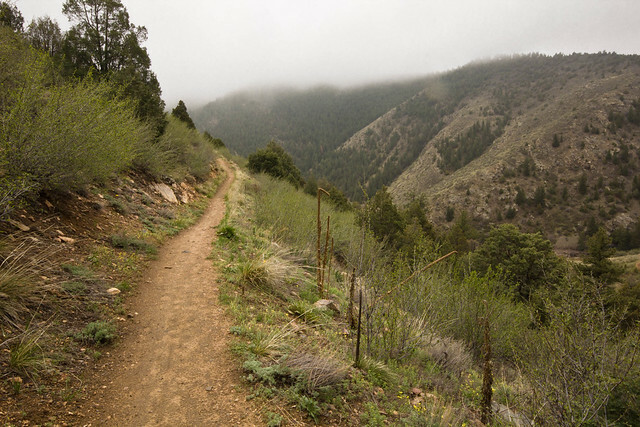 If you’re in the mood for some peace and quiet, Mayhem Gulch is the perfect trail for an semi backcountry experience in the Front Range, just an hour’s drive from downtown Denver. 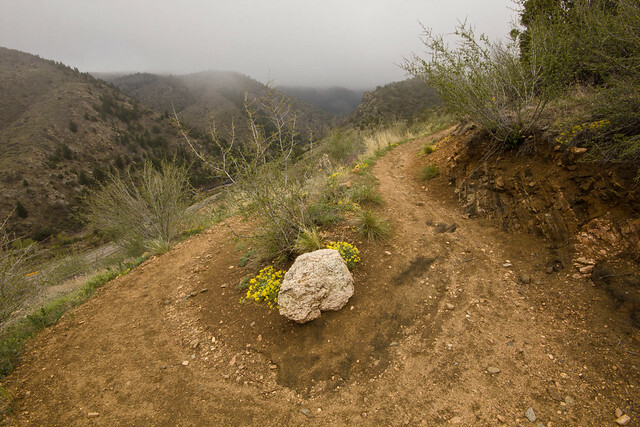 Located in Centennial Cone Park, the Mayhem Gulch Trail is a 4.7 mile lollipop loop that leads you to exceptional views of Clear Creek Canyon. 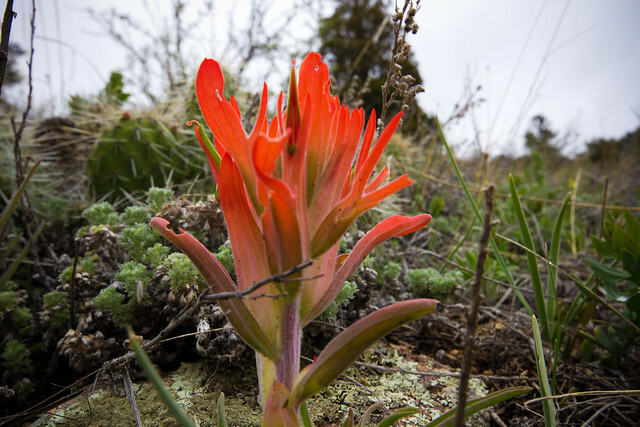 The park sits on a 3,400 acre slice of wilderness, and has 16 miles of trails within the open space. 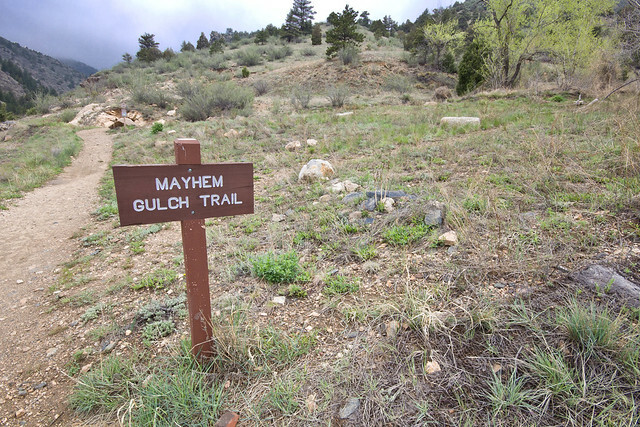 On weekends, the Mayhem Gulch Trail has an alternating usage schedule. 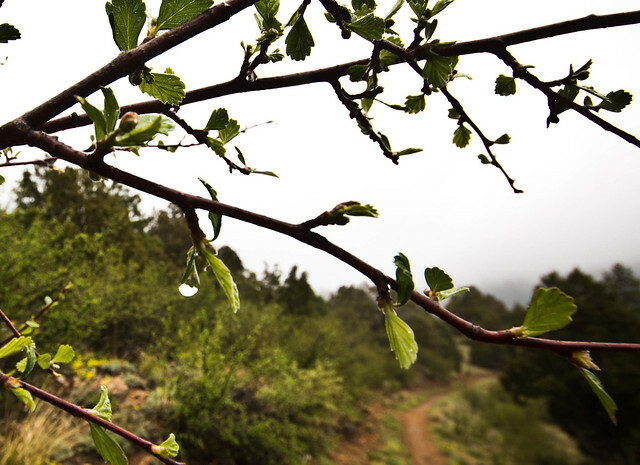 Open to hikers only on odd weekend days, and Mountain Bikers only on even weekend days. This allows bikers and hikers a bit of space and lessens the odds of the two bumping into each other. You arrive at the parking lot of the trailhead, which is directly off the busy canyon road. At first you might notice the proximity of the 8,000 ft mountain you will be traversing to the highway and may think to yourself, “Well that’s not cool”. But don’t worry, on this trail, you will quite literally hike away from the noise and bustle of the road below. The trail will lead back over the north side of the mountain. 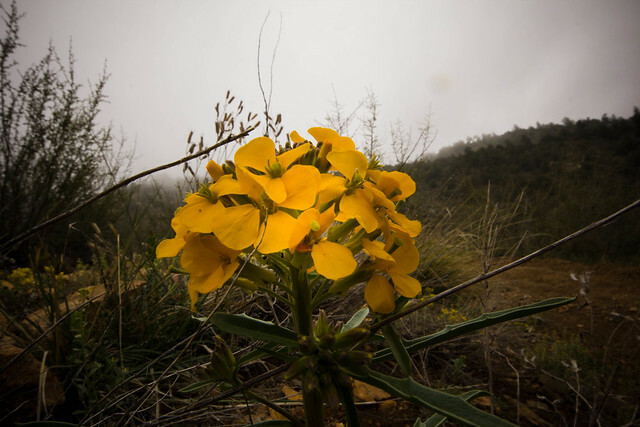 On this particular day, it was foggy and rainy, so the entire hike was a walk through clouds. 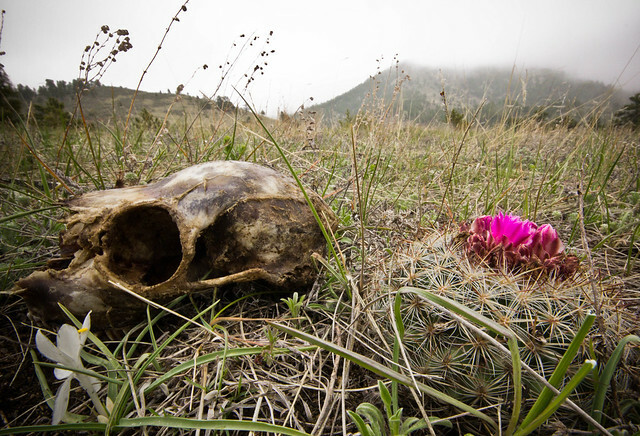 This definitely added to the whimsical and solitary feel of the hike. The start of the hike is a steady rise up through a series of switchbacks across the south face of the park. The further you go, the more you will hear the cars below fading away. Soon you will revel in the silence and stillness we love in nature. You will reach a waterfall that cascades down the North Eastern Side of the park as you progress up and away from the canyon below. The trail levels up a bit as it intersects with the Juniper Trail. 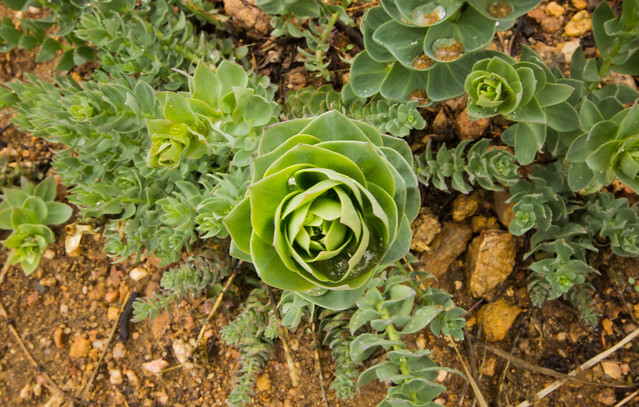 I chose to hike clockwise and continued left on the Juniper Trail at 1.5 miles. This direction will take you back North across the mountain, through Ponderosa Forest, and occasional Douglas Fir. The trail then opens up into an expansive meadow on the backside of the mountain, giving you great views to the north. This part of the hike is great for wildlife viewing as the expansive meadows and vegetation attract herds of elk and mule deer. After hiking just .8 miles on the Juniper Trail, it will intersect with the Travois trail. This is where you have the option to extend the hike to a 12 mile round trip lollipop loop. 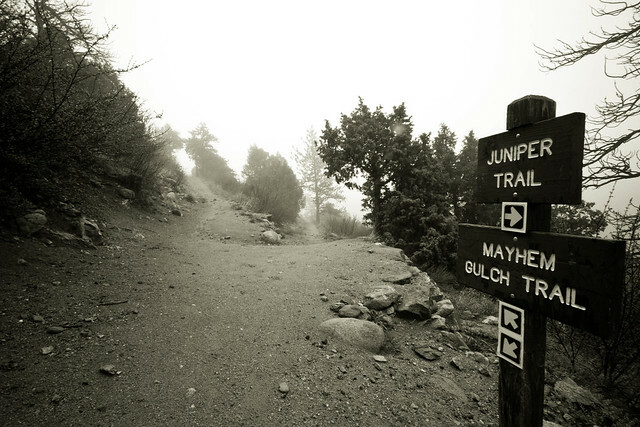 If you’re opting out of lengthening your journey, turn right onto the Travois Trail and head to the Mayhem Gulch Trail junction. Once you’ve reached the junction, zig-zag you’re way back down to the parking lot. 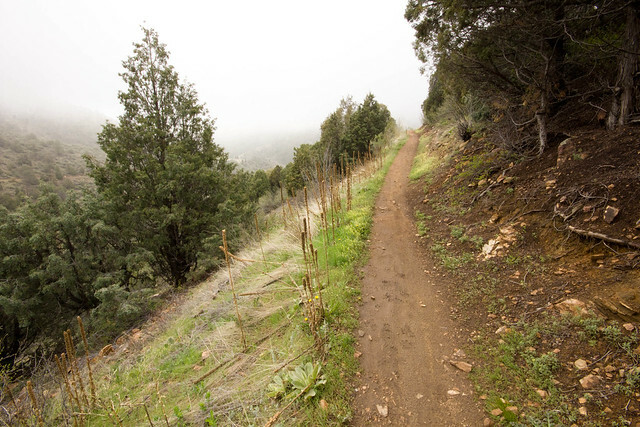 This is a very well maintained, soft, not rocky trail that is popular for mountain biking as well as hiking. From CO 93/US 6 Junction in Golden, go west on US 6 for about 10 miles. The parking lot for the Mayhem Gulch Trailhead will be on the north side of the road on the right. Look for mile markers 262.5 and 262.